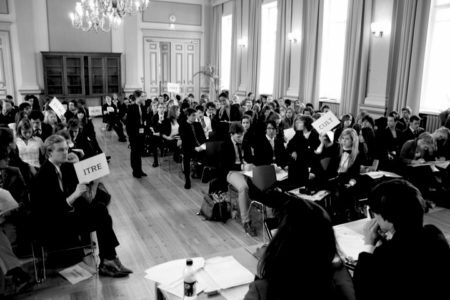 Helsinki 2011 – 10 Year Jubilee Session of EYP Finland took place on 10–14 February. Nearly 170 delegates and some 50 officials gathered in Helsinki to discuss and debate the great challenges Europe is facing in the next ten years. The 17th National Session was by far the biggest ever organised by EYP Finland, and there were delegates from a total of 10 countries. Teambuilding was organised in Suomenlinna, and committee work and the General Assembly took place at European Schooling Helsinki. On the first day of committee work, the committees were assisted by a number of researchers from the Academy of Finland. EYP Finland also gained publicity in a number of media, including Helsingin Sanomat and national television. The delegations to represent Finland at the International Sessions of the EYP in Athens and Zagreb are currently being selected. EYP Finland will announce them shortly. For pictures of the event, please see our Flickr page.